Use foam roller exercises for the thoracic spine and get relief from upper back pain. The self myofascial release performed on a foam roller will release your chronically held tensions and emotions. My goal is that you will learn the metaphysical cause of your pain and better understand the body-mind connection of this often-affected area. If you have read Foam Rolling, and I would recommend that you do, you know that exercises on the foam roller are a wonderful way for self myofascial release. Rolling the knots out of your muscles elongates them and balances you. If you are looking for a good foam roller for the price, look no further. Click here to see my recommended models. They are the premium, textured, high-density EVA foam models. The textured models provide for non-slip usage on a yoga mat better. Yet the inner core is firm enough to provide you will proper muscle compression. With these features, you would expect to pay more. I felt it was worth it. This premium-type foam roller is hard to find in the local stores so you need to buy them online for the best selection. If you have back pain in the lumbar spine, or lower back see my lower back foam roller exercises. The upper back or thoracic area is often an area that you hold tension, and as a result have upper back pain. Often you hold your breath when you are stressed, and lift up your scapulae (shoulder blades), trapezius (upper part of your shoulders) and neck. This chronic tension leads to upper back pain, imbalance and a habitually poor posture (See my article called Understanding Your Body for a full discussion on posture). Poor posture in turn, rounds the shoulders and closes the chest, where shallow breathing is the result. Your life energy, through your breath is stifled, creating less energy for you. Breath is life. With less life energy created through the breath, even more stress is created. See Opening the Chest on the Foam Roller for more information. It is only when you deeply breathe that you give your body the message that all is well and allow it to relax. By doing the following foam roller exercises, you will release the knots and tension in your upper back. Combine it with deep breathing and real healing can prevail in your body, mind and soul. You will learn to pay attention to this area, and listen to what your upper back and shoulders are telling you about the tension in your body and in your life. When you roll your upper back, and feel a sore spot, you can focus more intently on that spot by doing short, deeper movements. Or, hold the pressure on that knot, but be sure to breathe deeply as you sink into the knot. Really move into the soreness with your heart and your breath, as you meditate on what this particular area many mean in your life. Hold the pressure until the muscle lets go and releases. You may also experience an emotional release in this moment, as well. When you roll out a muscle knot, you are elongating it. This creates new space in your body for relaxation and healing to enter! Use your intuition to create new movements as you go, short or long, deep or shallow to find your best movement. Spend time on those areas that need your attention most, and roll more here. As you roll your upper back, your spine often cracks, as you readjust it. This feels great! It is imperative that you understand the importance of the breath when you foam roll your upper back, especially if you use it as a back pain exercise. While most back pain originates in the lower back, it may surprise you to discover that your upper back is also painful. Please exercise caution if you use these foam roller exercises for back pain. Be very sensitive to any experience of pain that causes you to hold your breath. The body knows to relax only when your breathing is deep, so it will tense up if you hold your breath. This is very counterproductive and the exact opposite effect that you want. So make sure that you only foam roll so deep that you can continue to breathe deeply. When you roll onto a sore spot, breath even deeper! Never stop breathing deeply throughout all your foam roller exercises so that you will always be relaxing and releasing. Also be aware that more than moderate pain may be indicative that something more serious needs attention. Seek a medical evaluation if you are unable to release the pain with moderate pressure and breathing deeply. As you are rolling along, and breathing deeply, fully experience the pain and soreness. Feel how it feels to move into the pain, instead of away. Keep breathing until the muscle releases. In this releasing, those emotions that put the pain and tension there will release as well as the pain! Emotions really do affect the body, and understanding this is a key component for a more therapeutic foam rolling experience for your entire being; body, mind and soul. As you continue to make this foam roller exercise an intuitive movement, vary the exercise in anyway that feels right to you and your body for the most effective self myofascial release.When you learn to do this intuitive process correctly, you will become addicted to process! I have! The back, upper and lower is an integral part of your core, your balance and your center of being. It supports you in all things, as you move your arms and legs for the activities of life. This is of vital significance if your have body-mind-soul issues that involve your back. It has been suggested in the literature that the back represents the ability to feel love, or holding back love, especially the upper back area. It may also represent support either financially or emotionally and most importantly, the lack of emotional or financial support. If you have upper back pain, when you are doing your foam roller exercises, meditate on what it might mean to you in your life. Find your own truth as you feel it and heal it. Use your unique Body as a Window for finding your own truth as you go inward as you roll! I am am lovable and I am loved. I am supported by God/the Universe in all things, physical, emotional and financial! I move with grace and ease and my back supports me in all aspects of my life! I can do all things through God/the Universe, who strengthens me! You may also create your own affirmations instead that speak to your own heart and that have meaning to you! First I give you a brief, written description of the foam roller exercises. This, I believe is helpful to those who "see" best with the written word. This is for the left-brain, language-oriented folks. It also helps clarify what I am doing in the video. Second is the actual, short video of the movement. I do not talk at all in this video, so you have the opportunity to make the movement an intuitive and inward-looking activity. The intuitive process comes from the right brain, the quiet, feeling part of you. This is also where the perception of images and spatial relationships originate. As always, feel free to change the foam roller exercise to suit your own body and as your own heart desires! Start by placing the foam roller immediately below your neck, just above the level of your shoulder blades. Relax your hands on your stomach, or place in prayer position. Lift your hips off the ground and balance with both feet flat to the ground. Slowly roll down your back, using your legs to push up as you roll. As a variation, raise your arms up as you roll down your upper back. This will add pressure for deeper rolling if you need to go deeper for your self myofascial release. Start again in the same position, this time roll side to side, like a log as all one unit. Roll at the level of the shoulder blades, or experiment with a little higher position or a little lower down to get to your hot spot! You can follow up the foam roller exercises of the upper back with upper back stretches that open the thoracic spine. The Plow Pose stretches the lower back and legs, but it also dramatically flexes the thoracic spine and neck. Do not perform the Plow Pose if you have severe upper back pain or neck problems. The Cobra Pose is a good follow up inversion pose to the Plow Pose. The third photo depicts the Garland Pose, a great upper back and trapezius stretch that also is a great hip opener. You may also wish to do some meditative neck stretches for neck pain if your neck pain accompanies your upper back pain. Neck and upper back pain often go hand-in-hand. For more focused trapezius foam roller exercises and stretches also see Trapezius Muscles. Foam Rolling and exercise stretches are a lovely way to stretch your body, stretch your heart and stretch your mind. When you open and create space in your body, you create the energy for positive changes in your life! Make these exercises a part of your intuitive movement to create health and healing of your body-mind-soul! 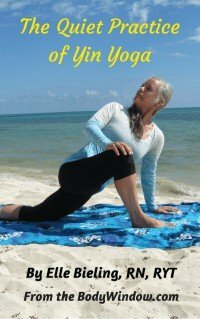 May your journey to healing be helped by these foam roller exercises and thoracic spine stretches and may your total being, body, mind and soul always have health!